Buffalo commonly known as Water Buffalo is a mammal adapted to and enjoys being in water. They spend much of day submerged in muddy waters or rivers. 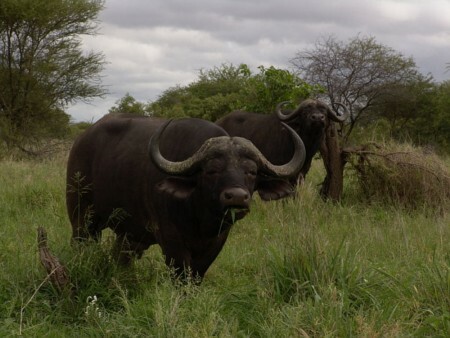 Buffalo are used as draft(for carrying loads), meat and dairy animals. Their dung is used as fertilizers and as a fuel when dried. They are well known for fighting and racing festivals in SouthEast Asia.